الخيار الأفضل للحصول على المتعة والاسترخاء, The Bay Apartments يقع في منطقة سكارنيس في خليج هيرفى. يمكن من هنا للضيوف الاستمتاع بسهولة الوصول إلى كل ما تقدمه هذه المدينة النابضة بالحياة. يشكل هذا الفندق ملاذاَ مريحاً للاسترخاء ويمنح زواره فرصة للاستجمام والتجدد، وهو يقع على بعد خطوات من المعالم السياحية الكثيرة للمدينة كمثل: World Bazaar, كوالا ادفانتشر, ايه 1 فرازر روفنج. يعمل The Bay Apartments على ضمان إقامة مريحة لضيوفه من خلال خدماته الممتازة وحسن ضيافته. يقدم هذا الفندق العديد من الخدمات الكفيلة بإرضاء أكثر الضيوف تطلباً. تنعكس أجواء The Bay Apartments في غرف الضيوف.تلفزيون بشاشة مسطحة, اتصال لاسلكي بالإنترنت, حوض الاسترخاء, غرف لغير المدخنين, مكيف هواء هي بعض الميزات الموجود في العديد من الغرف. كما أن مجموعة الخدمات الواسعة الموجودة في الفندق لضمان راحتك تترك لك الكثير من الخيارات لقضاء وقتك أثناء فترة إقامتك. إن The Bay Apartments هو خيار ذكي بالنسبة للمسافرين إلى خليج هيرفى، بما يوفره من إقامة هادئة ومرحة. Excellent apartment very spacious for a group. Very clean and friendly staff. I will definitely be returning and i recommend the bay apartments. We had a lovely couple of days here, huge top floor apartment which was very well presented. 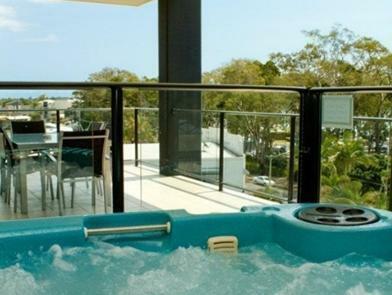 Huge outdoor balcony with great water views & a spa which was great. Close to various restaurants & shops. Could not fault anything & would definitely return & recommend. Very spacious top floor corner spa unit, with 2 seperate living rooms, very large main bedroom with dressing room and ensuite, opened up onto large balcony with views of the beach opposite. This unit was so large I could actually live in it quite comfortably. New appliances, Quiet, ocean views, private, only a couple minutes walk to the nearby shops and restaurants, the Black dog cafe on the corner was amazing. Staff were all very friendly and helpful, explained everything from car parks, which lifts to take, how to get the shops and more. Can't wait to stay here again. Only con was the outdoor spa could be screened more for protection from the wind. The house was really big, but it was incredibly dusty and it seems that the owner did not do a thorough cleaning before our stay. My husband and elder daughter were sneezing a lot due to allergy to dust. There was also a strong smell of food coming from the kitchen cabinets. The apartment was dimly lit, would recommend owner to replace lights with brighter light bulbs. Overall, it was an okay stay but it would be a lot better if the apartment was much cleaner. Air conditioning was not working properly. 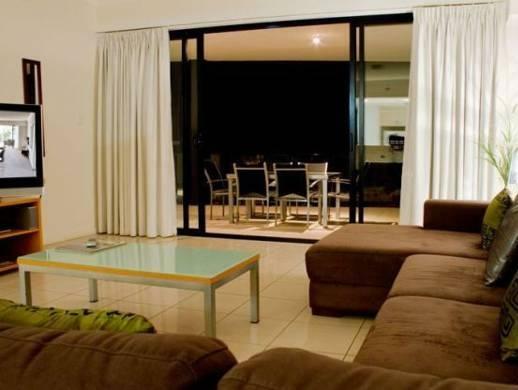 Location - Apartments are very spacious and clean - Staff were very friendly and helpful. We all enjoyed our stay - we were very comfortable and loved the facilities - we will certainly plan to return and stay longer next time! Nice Swimming Pool, BBQ Area and large Rooms. Had a very good stay. Large Rooms with walk-in closet, perfect to storage a lot of luggage. Car Park was secured. Hotel is in walking distance to many restaurants. Staff Performance could be more attentive. The Bay Aparment is really amazon. Very Spacious, with all what you need (washmachine, dryer) and he si very close from the beach . 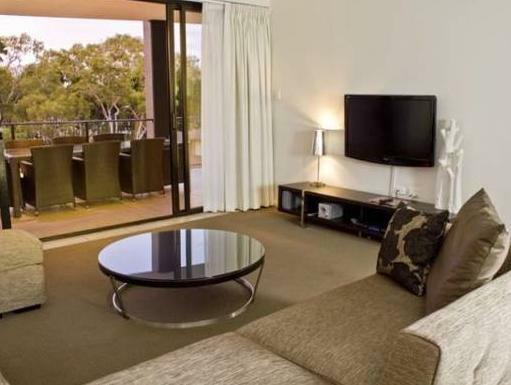 From here you can go to Fraser Island, the management can organise that for you . we will go again ! Good location. Friendly staff. Nice View. Good location, Friendly staff, Nice View. Great stay, couldn't get the internet to work, no clear instructions, could have microwave or oven dishes to cook food. Would return if more affordable, otherwise PERFECT! had a great stay in a huge,modern apartment. 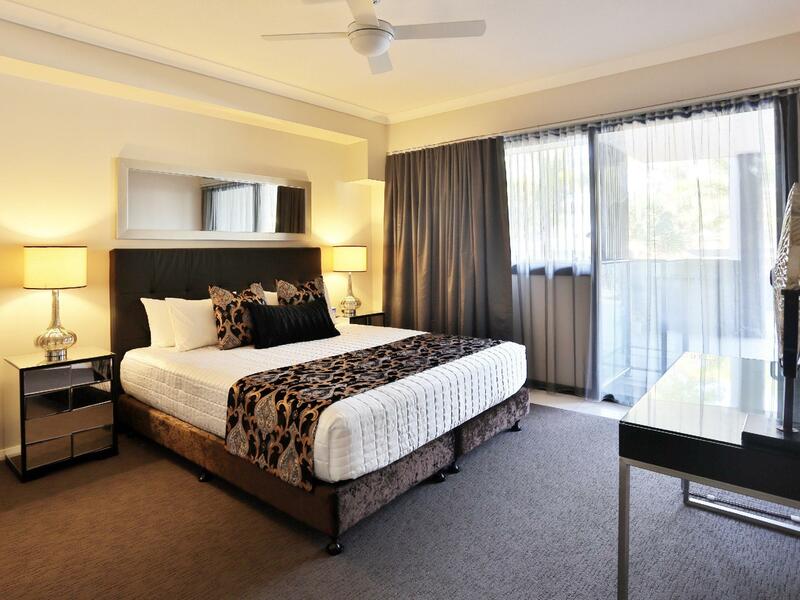 Well located across the road from the beach & close to several restaurants. Staff very friendly & extremely helpful. Pool was nice but a bit cold;the spa was perfect. Notre séjour s'est très bien. Le Check in et Check out ont été très rapides. Nous avons bien profité de notre journée à Fraser Island.